My baby is technically no longer a baby but however she has the skin of a baby. Madison, like me, has very sensitive skin and I found that out the hard way. Once I found out about her skin sensitivity we quickly switched to sensitive wipes and diapers. 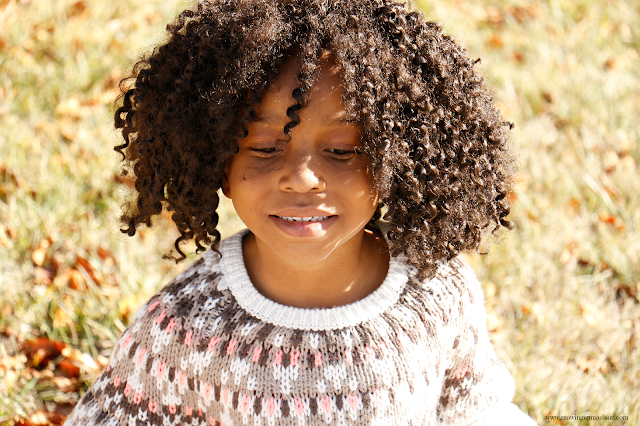 I like having products that are as close to natural as it comes and you may have seen that we promote a lot of healthy, close to natural products here on Growing Up Madison. I love it for my pets and I also love it for my children. I absolutely hate products that I have a hard time reading the ingredients, products where the ingredients sound like they weren't meant to be used by humans, ingredients where I need to pull out my dictionary or use Google search to figure out exactly what they are and what benefits they hold for me. A few months ago I got an email asking me to be a WaterWipes ambassador. At the time I was using another brand of wipes so had to decline but that didn't mean that I wasn't intrigued. This was a product that was right up my alley. I checked out their store locator and noticed that they were available at my local Target. Target is less than 5 minutes away from my house to I jumped in my car, headed to Target to pick up a package. I have to say that since I bought that package I've never used anything else. Now you may be wondering why I haven't purchased anything else and I'll tell you this now. I can read EVERY ingredient on the package since there are only two. Yes you read that correct. There are only two ingredients in WaterWipes. Water and a fruit extract. In my case a grapefruit extract. WaterWipes are chemical free. Remember when I said I absolutely hate products that contains products that I cannot read or understand. Products that I have to Google search because I have no idea what the ingredients are, I meant it! With a family history of cancer I would much prefer not to have any product with carcinogenic ingredients anywhere near my family. See that face above. That's the face that screams, I want to stay as healthy as I can for as long as I can. And as her mother I need to do that for her. Now you may have noticed the price and while they are just a tad more expensive than the other commercial brands, I personally prefer to pay more for my own peace of mind. Like my mom used to say, an ounce of prevention is way better than a pound of cure. She's also still at that stage where anything that comes near her face is an invitation to lick, so of course having WaterWipes near by is awesome. While it is recommended to use the package within a month once it is opened, because there are no preservatives in them, we're usually through ours way before that. From wiping hands and wiping face of a always on the go pre-schooler there is never enough WaterWipes near by. I keep a package in my car and another in my bag when we're going out. 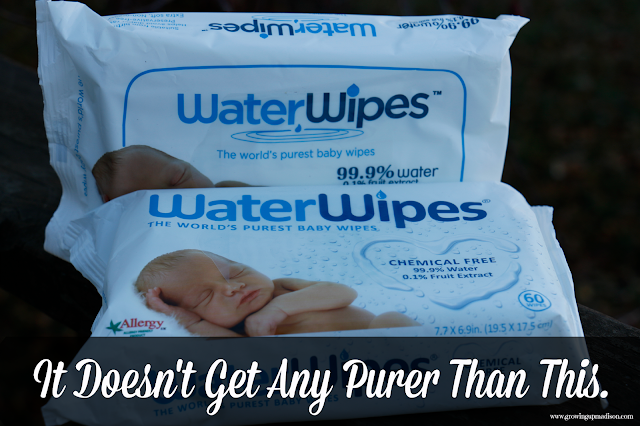 The only thing purer than WaterWipes is water itself and that isn't always available when you're on the go. Here's something mom's of kids with eczema might be interested in knowing. WaterWipes was recently awarded the Seal of Acceptance by the National Eczema Association. So I encourage every mom out there to pick up a package and experience the difference for yourself. I assure you that once you've tried them you'll never go back to your former brand. Let's discuss: How do you keep your little one clean when on the go? 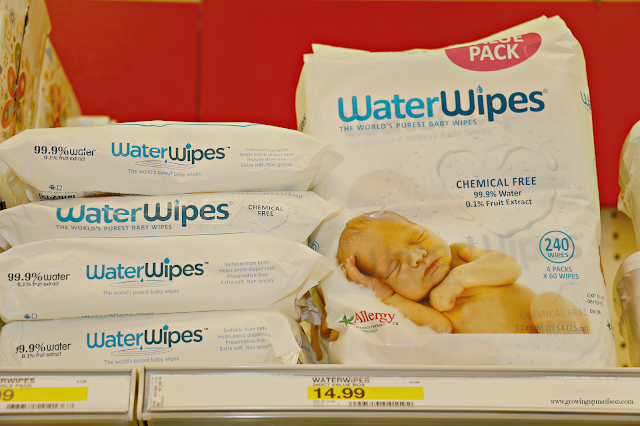 Influence Central is hosting a contest for WaterWipes in which you can enter to win a $100 Target gift card! You can enter by choosing a social media sharing option from the social media amplification tool. Contest closes December 4. Influence Central will randomly select 1 winner from all program entries and will handle fulfillment of the winning prizes. I don't think I've ever seen these but you are so right. I usually use Pampers Sensitive and even with those I can smell the chemicals in them. I am going to pick up a package and give them a try. Love that it's just water and nothing else. Thanks for this post and I am so loving your blog. Yes I've actually stopped using the commercial brands and now only use this one. I couldn't have been happier to find them. I've used these and Love them, but what I don't love is the price. I'm able to afford many more of the other brands at the price of 1 pack of these, but then again you're paying for better product. I may have to give in.